Fortunately, there are several cosmetic dentistry procedures to restore or repair one or more teeth. At Stephen Ratcliff, Family & Cosmetic Dentistry in Arlington, we can complete most of them in one short visit. Think about it; you could achieve a stunning smile in less than an afternoon! Dental bonding is an affordable cosmetic dentistry procedure available in Arlington at Stephen Ratcliff, Family & Cosmetic Dentistry. We use dental bonding in a variety of applications. In addition to repairing damage, dental bonding can close gaps between teeth. Porcelain veneers are another minimally invasive cosmetic fix. Like cosmetic dental bonding, veneers correct chips, cracks and improve tooth shape. What if your problem is not an unattractive tooth but a missing tooth? Don’t despair, a beautiful smile is still possible in Arlington with dental implants. For more information about veneers, bonding, implants and other cosmetic dentistry procedures, call Stephen Ratcliff, Family & Cosmetic Dentistry at 817-274-7875. We are conveniently located at 909 W Mitchell St in Arlington. 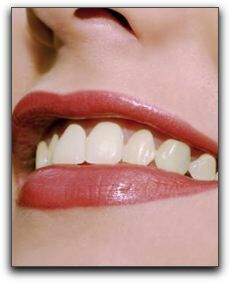 We provide advanced dentistry for patients in Mansfield, Grapevine and the surrounding areas. We look forward to showing you cosmetic dentistry ‘before after’ pictures. Bright Purple Mouth When You Smile In Arlington?